Welcome to the first electronic newsletter with the latest news on financial literacy and SEDI ’s newest initiative, the Canadian Centre for Financial Literacy. Financial literacy is a life skill. It assists people in making wise financial decisions that will affect the future of their families, communities and nation. Many analysts agree that a lack of financial knowledge contributed in part to the mortgage crisis in the U.S. People were given loans they could not afford and many have lost their homes as a result of uninformed investment decisions. On this side of the border, a recent survey indicated that Canadians are ill-equipped to make sound financial decisions – only 10% of respondents were very knowledgeable on financial basics. Another survey revealed that one in five Canadians spend beyond their means. The Centre is the right innovation at the right time. When the markets are falling and credit is tightening, low-income people are hit the hardest. The Centre seeks to enhance Canadians’ skills, confidence, and knowledge related to financial matters, consequently reducing personal bankruptcies, debt loads and the use of costly fringe financial services. The Centre also aims to increase the number of lower-income Canadians who have a financial plan and savings and who invest in long-term assets such as saving for a home, post-secondary education and retirement. Distributed every two months, this e-newsletter will bring you updates on the Centre’s activities and on partnership opportunities across Canada. The newsletter will also feature stories of people who have found in financial literacy the key to a better future and stories of front-line agents who are crusaders for a money-savvy Canada. 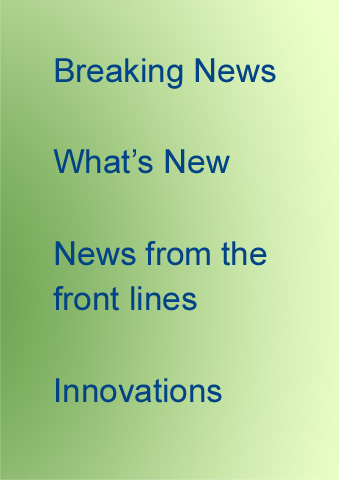 In the Innovations section, you will find the latest news on economic development initiatives in other countries that are having far reaching impacts on the financial situation of individuals, businesses and communities. We would appreciate it if you pass this e-newsletter on to friends and colleagues who might be interested in learning more about how financial literacy is an effective tool to combat poverty. Policy-makers, business leaders, foundations, community organizations – together we can change lives by helping people go from making ends meet to spending and saving strategically. This week, Finance Minister Jim Flaherty announced a $5 million commitment to 'establish an independent task force, which will make recommendations to the Minister of Finance on a cohesive national strategy on financial literacy'. While a number of initiatives are currently underway to improve financial literacy for Canadians, it is time to better organize efforts. "To create a national strategy, we need leadership, people, ideas, and a mechanism", said Peter Nares, Executive Director, SEDI. "We applaud the Canadian government for its leadership on this issue." The task force will include representatives of the business and education sectors, volunteer organizations, and academics, and will be supported by a federal secretariat. The task force is expected to be launched in the spring of 2009. The first of its kind in this country, the Canadian Centre for Financial Literacy was launched by Social and Enterprise Development Innovations (SEDI) at the fourth SEDI Awards on November 13th, 2008, at the Westin Harbour Castle in Toronto. The Centre’s mandate is to create opportunities for lower-income people to plan and invest their savings. Over 4.7 million Canadians live on a low income, according to Statistics Canada. The Centre’s objective is to improve the economic situation of more than 230,000 Canadians within its first five years of operation. Centre’s activities will include building the capacity of community organizations to deliver effective financial education services, and consulting on financial literacy to businesses, policy-makers and not-for-profit organizations. 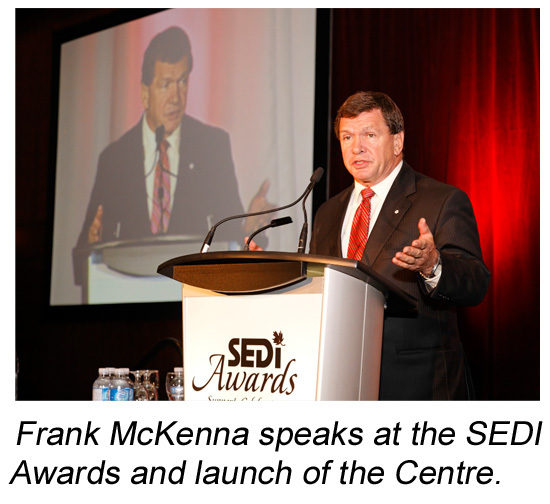 “Behind this initiative – and everything SEDI does – is the promise to help people gain greater control of their lives and become self-sufficient,” said Frank McKenna, deputy chair of TD Bank Financial Group and former premier of New Brunswick, in his keynote speech at the SEDI Awards and launch of the Centre. The Centre is launching its capacity building work this winter. Through the Centre, program facilitators at organizations in Ottawa, Lac Seul First Nation (Ontario), Toronto and in communities in New Brunswick, Northeast Ontario and British Columbia will be trained to deliver financial literacy services to underserved groups. In each of these communities, the Centre will be working with low-income serving organizations to build their capacity to deliver financial literacy supports to the people they serve. In Lac Seul First Nation, the Centre will train facilitators to offer workshops on money management to local youth. It is expected that the program will reach over 100 youth in its first year. Lac Seul is one of the largest First Nations in northwestern Ontario. It has a membership of about 2,700 people, two thirds of which live off reserve. The Centre will be launching its information services work in the spring. Information services will be delivered through a web portal which will provide professional development support for trainers and will be a central point for information sharing. 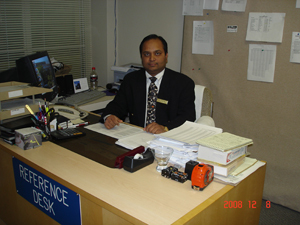 Arifur Rahman Shohel is an electrical engineer who moved with his parents from Bangladesh to Toronto in 2002. Even though he had solid work experience, he could not find a job in his field in his new home country. To provide for himself and his elderly parents, Arifur got a job as a busboy at a Toronto restaurant where he earned less than $13,000 per year. After speaking to other immigrants who had been trapped in the same situation for years, Arifur lost hope in working as an engineer in Canada. That changed the day he saw an advertisement on the subway about SEDI’s learn$ave program. The program, which offers matched savings accounts and training in money management for people on low incomes, helped Arifur find ways to save money to go back to school as a full-time student at Ryerson University’s Master of Engineering program. Arifur completed his studies in 2007 and currently works as a hotel maintenance manager. His income has increased considerably and he gives back to the community by mentoring other internationally-trained engineers. He also volunteers with Habitat for Humanity. Operation HOPE, the leading U.S. not-for-profit organization in the area of financial literacy, is mounting a national campaign, called 5MK (Five Million Kids), an initiative to help break the high school drop-out epidemic in America by providing financial education to five million children. The high school drop-out rate in the U.S. is 30 per cent and in urban, inner-city and under-served communities the rate is as high as 75 per cent. 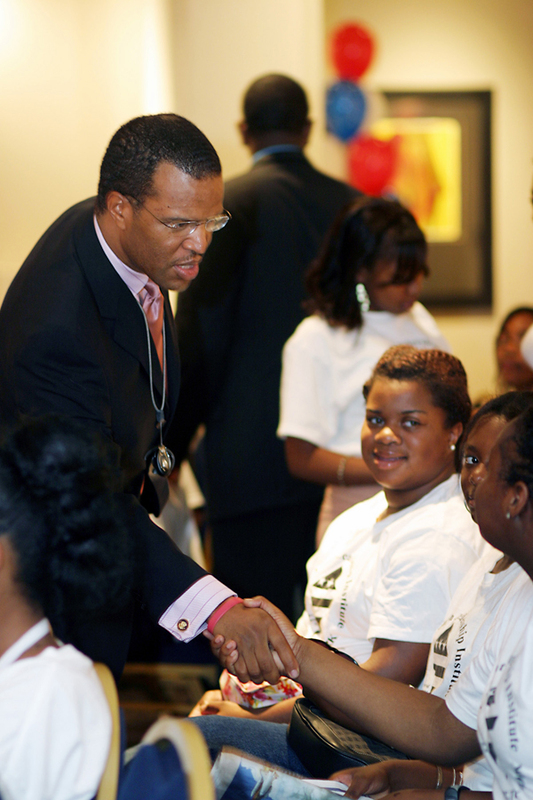 Other HOPE initiatives include Banking on Our Future (teaching school children about money), HOPE Coalition America (financial emergency preparedness and disaster relief), and Walk-In HOPE Centers (loans, bill pay, computer literacy, understanding banking principles). If you are interested in more information on how to bring this work to your community or investing the Canadian Centre for Financial Literacy, please contact Caroline Munshaw, Partnership Development, SEDI, at 416-665-2828, ext. 225, or at cmunshaw@sedi.org. To sign up for this e-newsletter or to unsubscribe, please send an e-mail to Melissa Choi at mchoi@sedi.org.